I live in South Africa, close to the Mozambican border. When I look at your work, I know what you are painting. Ahhh, Africa.... thank you for the joy you give. 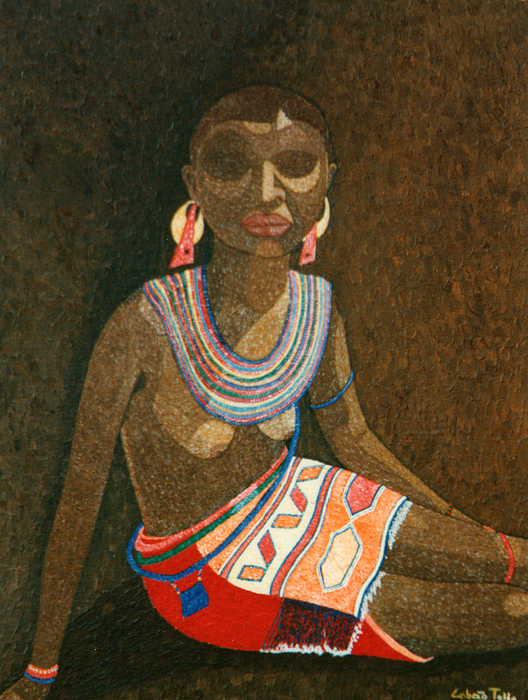 I want to say everything Carolyn just said about this perfect painting- the composition the expressiveness, the wonderful off angle of her position and brown on brown,everything is a wonderful tribute to Zulu women. Thank you so much your comments! Beautiful painting, Madalena! She is so expressive. Your use of color is fantastic here, love how you used some accents of color on the brown nuances. f&v! Very beautiful painting, Madalena! I was so touched by your description of Mozambique and all so very true. Thank you for sharing your talent and your being! So beautiful!! I love the way how you expression the lighting and colors in patterns, gorgeous portrait, Mada! Thank you:)! Friends.......I am very grateful for your support of my art work!! Thank you so much!! Tus obras son excelentes. Muy buen manejo del color, dominio del espacio y la forma. Mucha creatividad y esp�ritu sensible. Felicitaciones! 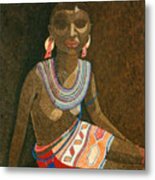 Very significant portrait of African woman, love the painting style in here! The Zulus are descendants of the Nguni people who migrated south from the Great Lakes region in about AD 800. A man named Zulu (�Heaven� in Zulu), established his own sphere of influence and settled with his family in KwaZulu, �the place of heaven. " 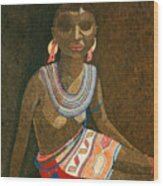 The descendants of Zulu, the Amazulu (�sky people�) are divided into different clans, each ruled by a chief. All these clans belong, in turn, the Zulu Kingdom, under the sovereignty of a king. King Goodwill Zwelithini is the current king of the Zulu nation.